China wants to bury the truth about Tiananmen. Will Google help? 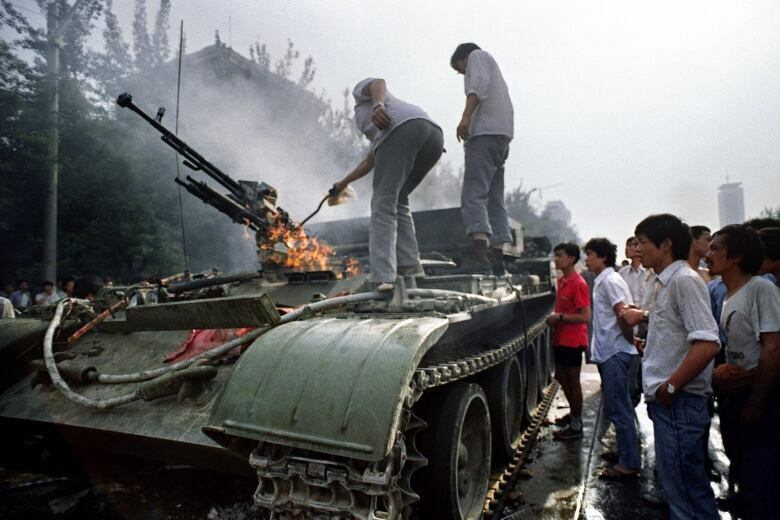 As part of our 50th anniversary programming, we look back at As It Happens' coverage of the Tiananmen Square protests in 1989 — and ask what role tech-companies like Google should play in safeguarding against China's efforts to scrub that history from the web. 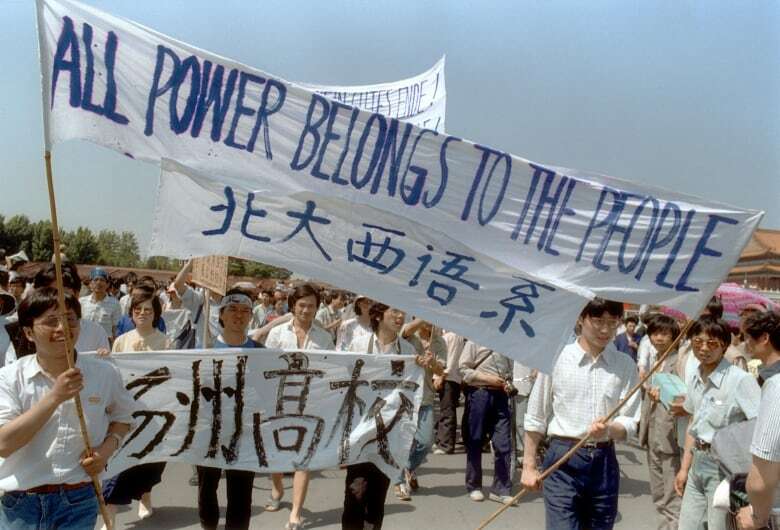 In the spring of 1989, students and others took to the streets of Beijing, China demanding reform, and seeking a shift from authoritarianism to democracy. To mark the 50th anniversary of As It Happens, we're looking through the archives to hear how the program covered these key moments in history. Here's what As It Happens sounded like on May 26, 1989, as the defiant mood among protesters at Tiananmen ​Square started to change. Here's former As It Happens host Alan Maitland again, on June 4, 1989 — the day the protests ended, in a massacre. For many, those sounds may trigger memories of a recent history. A history most of us can access with the click of a mouse. But in China, there's an ongoing effort to bury the past. 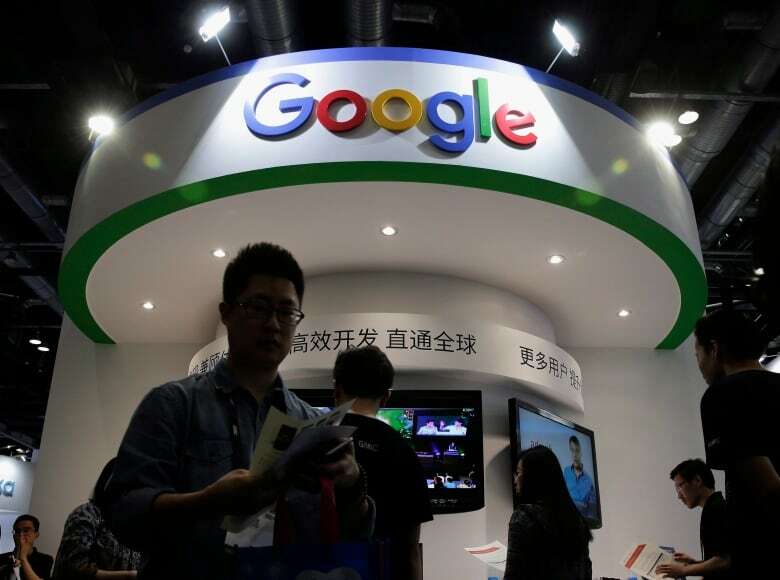 Now, after leaving the country in 2010, Google is mulling a decision to relaunch a censored version of its search engine in China. And advocates of online freedom, and human rights, are bracing themselves, worried the tech giant will aid the government's effort to scrub Tiananmen from the web. Deirdre Mulligan is an associate professor and faculty director at Berkeley Center for Law and Technology. As It Happens host Carol Off spoke with Mulligan about the potential relaunch and what it would signal to the rest of the tech industry. Here is part of their conversation. 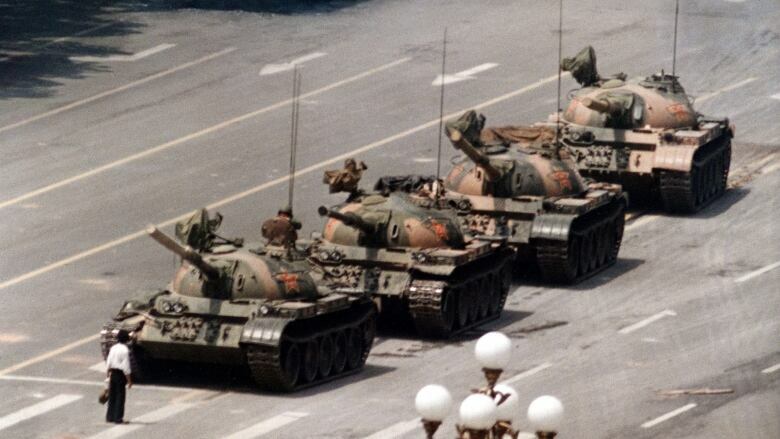 Deirdre, if you were in China today and you wanted to know what happened at Tiananmen Square and you did a search, what would you get in the way of results? You wouldn't find an accurate account of history and certainly not in the state involvement in the taking of human life. Most of the results, in my understanding, refer to what happened at Tiananmen Square as a riot, or they refer to it as a massacre myth from overseas, that they basically deny that the state was involved in killing and removals of peaceful protesters. And if you, for example, do something like look at Baidu's terms of service, you get a really good sense of the sort of information that the government expects them to keep from their citizens. And Baidu is a search engine that is permitted in China, but the Chinese government controls it. Is that correct? Yes. It includes, in their terms of service, very broad, sweeping requirements about people who are using the service, but those requirements reflect the sorts of censorship that the Chinese government expects search engines to engage in on their behalf. If Google does re-enter the Chinese market, we know that since 2010 it's even more authoritarian, so would Google get to have an exception? Would it be going in under the same, if not more strict, conditions than when it left? It would seem right on its face that entering China today would create an even more likely scenario where Google is helping the state engage in activity that censors information that contributes to adverse human rights impacts. I would certainly like to keep open the possibility that U.S. industry and Western governments can continue to keep pressure on China to stop limiting its citizens access to information. And, in particular, access to information about human rights atrocities, which is not just any kind of information. This is like the German government trying to limit the availability of information about the Holocaust. When we're talking about removing the records of what happened at Tiananmen Square, it's not the same as censoring other kinds of information. To what degree is a decision like this on the part of Google a betrayal of that courage those students showed in 1989? [There's] an increased attention to the enormous impact that multi-national corporations have on the real lived experience of human rights on the ground and the positive role they can play in being a force of good. It may not be their job to protect human rights, but it is part of their job to respect and remedy them. So, when, and if, Google decides to go back into China, if they censor out information about the human rights atrocity that is the real legacy of Tiananmen Square, then they are failing to respect the human rights — not just of the people whose lives were lost and their loved ones — but also of that society and their need to understand the truth of what happened, which flows from a commitment to freedom of expression and access to information. But also, it's one of the ways in which we remedy and make whole both individuals and societies, after horrific atrocities have happened. So keeping faith with the past and being an accurate storyteller about the past is an incredibly important role for Google and other search engines. They don't just tell us what's on the web. They really tell us about history. They tell us about the current. And they help us build a better future when they play their role. Google has been held up as a tech-company with a conscious. Their motto, originally, was "don't be evil." So what kind of signal would it send if Google relaunches and accommodates China's demands? Well, initially, it was this negative, "don't be evil." And today, it's framed in a much more positive and proactive, "do the right thing." I don't want to totally foreclose the possibility that there might be some completely non-traditional way that we have not yet thought of to thread the needle that would be going into China. I think the general sentiment is that going back in under the conditions, as we think they exist, would be not just a defeat for Google, but I think it would be a really sorry day for the industry as a whole because they have set themselves out as protecting and collaborating in the protection of human rights. Written and produced by John McGill. Q&A has been edited for length and clarity. As It Happens is celebrating its 50th anniversary this year. For more of our best coverage over the last five decades, check out our interactive timeline: 50 years of As It Happens.